Former FIFA president Sepp Blatter has backed Morocco's bid to host the 2026 World Cup. The 81-year-old is currently serving a six-year ban from having an association with soccer globally after an uncontracted salary of $2 million owed to Michel Platini, a former Blatter adviser, was unearthed. The beleaguered Swiss said in a tweet on Thursday that Morocco, which is bidding for their fifth time to host the tournament would be the logical choice over the joint North American bid from the United States, Mexico and Canada. Africa last hosted the global football Mundial in 2010, when South Africa hosted the tournament, which was followed by Brazil, Russia, and Qatar. 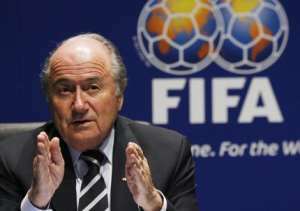 Blatter served as FIFA's president from 1998 until 2015.